Lisa Gable is a phenomenal woman who has served a number of influential people -- including four U.S. presidents and two governors. She also serves as a counsel to CEOs of Fortune 500 companies and as a representative to global public-private partnerships and nonprofits. Her goal is to move organizations to a higher level of performance and to promote quality leadership and diplomacy in organizations with the vision of having a better society. 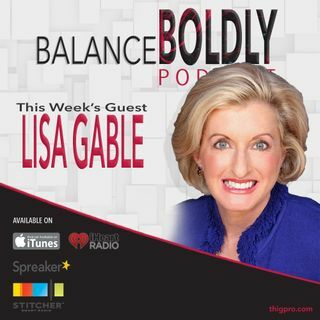 In this episode, Lisa shares how to be a bold ... See More catalyst of change in organizations. She shares how to deliver concrete change and why she bases everything on a process. She also shares her Prevention Recipe -- the things to do to prevent you from chronic stress due to the type of work you do and the unenthusiastic reaction you might have to deal with as people react to the discomfort of unfamiliar territory and change.